Spring in North Palm Beach, Florida, means the peak of the dry season, lower humidity, and a perfect time to get out and enjoy some spring activities. Below are five ways to take advantage of this ideal weather. You’ll only need three things to enjoy these spring activities in the North Palm Beach area: A little free time, some sunscreen, and the right kind of vehicle. J.W. Corbett Wildlife Management Area is located just to the west of North Palm Beach and includes some roads designated for wildlife viewing from a vehicle. And what better vehicle to view nature from than the Buick Cascada with its convertible design and seating for four? See the 2018 Buick Cascada for sale in North Palm Beach. Just to the north in Jupiter is the home to one of Florida’s last remaining dog-friendly beaches. Let your furry friend cool off with a day in the water by taking advantage of the interior of the 2018 Buick Enclave. With two rows of seats that fold down to create over 97 cubic feet of cargo space along with tri-zone automatic climate control, your pooch may not even want to get out of the car. Find the 2018 Buick Enclave for sale in North Palm Beach. As much as your dog may love the surf, it’s hard to imagine springtime in Florida without a day on the water yourself. And the roof rack with available accessories on the 2018 Buick Encore is perfect for hauling your kayak or paddleboard to the water. Discover the 2018 Buick Encore for sale in North Palm Beach. The Manatee Lagoon is a free, fun, and educational activity for kids of all ages to observe and learn about these Florida natives. The 2018 Buick LaCrosse’s five-star safety rating makes this vehicle an ideal choice for any parent. Meet the 2018 Buick LaCrosse for sale in North Palm Beach. Golf.com named Florida the number 1 state for “golfiness” and North Palm Beach is situated right in the heart of this golf Mecca. And the nearly 27 cubic feet of rear cargo room in the 2018 Buick Envision allows plenty of room for the golf clubs of the foursome sitting up front. Explore the 2018 Buick Envision for sale in North Palm Beach. 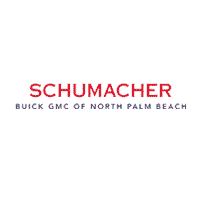 Wherever you end up in Florida this spring, make sure to start at Schumacher Buick GMC of North Palm Beach. Browse our inventory of new Buick cars for sale.